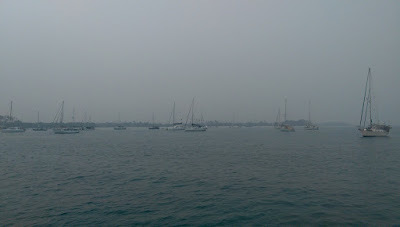 As the papers report, the forest fires etc are totally out of control in Indonesia and there are hundreds of miles of sea with a dense, thick, smoky haze. Not only is the visibility poor, but the smell of smoke is intense. We have resorted to using the radar when sailing during the day, as well as night. We are anchored near the NW corner of Pulau (Island) Belitung, only 400 miles south of Singapore. 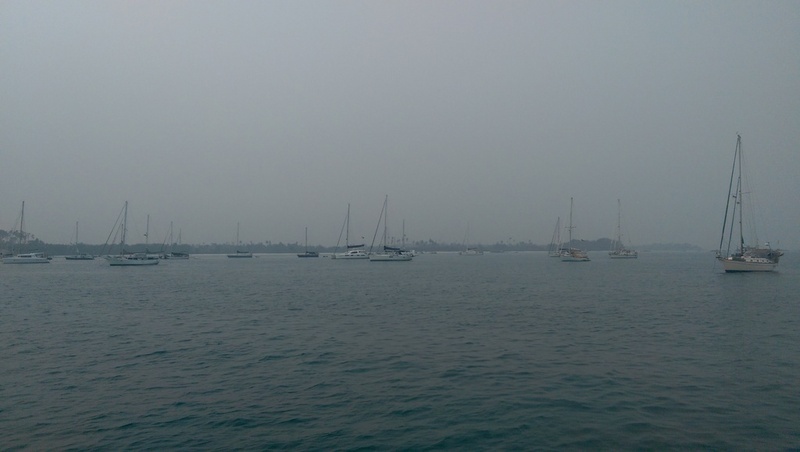 Belitung would normally be a highlight of any sailors travels with granite boulders, sugar white beaches, and friendly people, but the haze and smoke ruin it all. We have done essential repairs and gotten rest and will depart in the morning for the Lingga Island group. 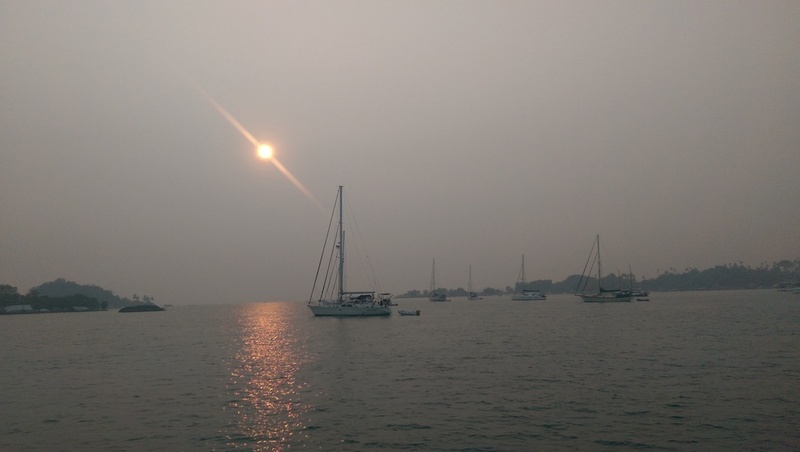 We do not expect the haze to be gone, but we hope that there will be rain. We have not had rain on Villa G since March. With all the fires and smoke, the whole boat is covered in a reddish brown dust, cinders and ash. We wash the decks in salt water which helps the looks, but the feel of salt underfoot is not so nice. Susan has baked a pecan pie and made chili con carne, yum!